You deserve the best! We provide the best FDA-approved Botox and Dermal Fillers in San Antonio. Dr. Sherry and her team have extensive training on the technique of injecting to help you look youthful all while looking natural. You are our walking billboard and Dr. Sherry will never have you looking anything other than YOUR BEST! Botox® is injected in facial muscles with a tiny needle, and causes decreased movement resulting in elimination or softening of the wrinkles that are formed from facial expression. Botox has many applications, however, the main ones are the glabella (frown lines or 1’s, 11’s or 111"‘s) between the eyebrows, the forehead, and lines around the eyes (“crow’s feet”). Correction of the glabellar region can result in an eyebrow lift if desired, and will be discussed during consultation before the treatment is given. Botox can also be used around the mouth to correct a downturned frown (resting mean or “"bi…” face), in the neck chest/decolette, in the jaw muscles (for clients with TMJ or to thin the jawline), and for hyperhidrosis (increased sweating under the arms and on the palms and soles), as well as to treat migraine headaches. BOTOX® Cosmetic has a record of experience that aesthetic specialists know and trust, and it is the only FDA approved treatment to temporarily improve the appearance of both moderate to severe frown lines between the brows and crow’s feet. Dr. Sherry Wehner is proud to offer the full line of Allergan hyaluronic acid fillers, including Juvederm Ultra XC, Ultra Plus XC, Volbella, Voluma, and Vollure. She likes to give her clients a very natural look, leaving them looking rested and more youthful, not “done”. Different dermal fillers are used for different reasons and treat different issues. Please request a free consultation with one of our expert consultants, who are all trained by Dr. Sherry. Dr. Sherry performs all cosmetic injections personally. Her two favorite fillers are Volbella and Voluma because of their excellent results and longevity, but she uses a variety of fillers depending on each clients specific needs and budget. Natural looking lips that last up to 18 months! Some people simply have naturally thin lips and would like to achieve a fuller appearance, while others have noticed their lips thinning over time and may also have seen vertical lip lines (“lipstick lines” or “smoker’s lines”…even if you have never smoked!) become more noticeable. 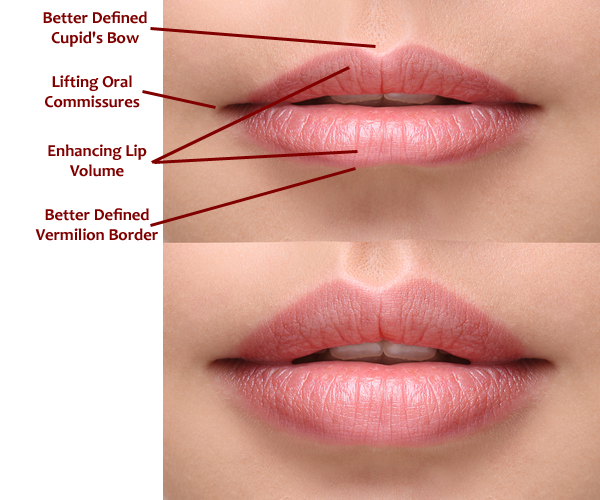 Dr. Sherry will evaluate your needs and wants and provide with perfectly kissable lips! Cheek lifting that lasts up to 2 years! Voluma gives the face a more youthful (“V-Shape”) appearance by lifting the cheeks, which makes them appear less saggy and results in a natural minimization of nasolabial folds. Voluma is a “thicker” hyaluronic acid filler and is perfect for the cheek area, although it may be used in other areas which will be discussed in consultation with Dr. Sherry and her trained team of consultants. As we age, we may notice that our face shape has changed over time or we may feel like our “face is falling”. This is due to the natural loss of collagen, fat, muscle, and bone that occurs with natural aging. But it doesn’t have to be that way! Let Dr. Sherry restore a more youthful but natural appearance! 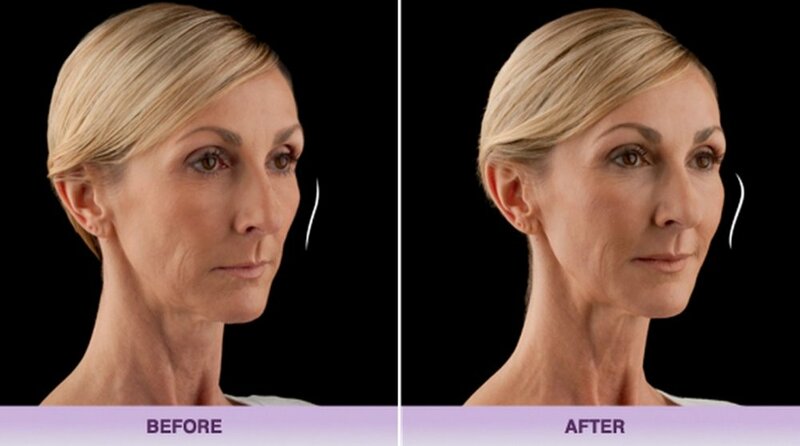 Are you considering a surgical facelift or necklift? We have more great non-surgical options for you! Dr. Sherry was selected by the largest national aesthetics training company to train doctors on botox and filler application. All injectable cosmetics at Anew You are administered by Dr. Sherry Wehner, MD, a medical physician with extensive experience in aesthetic and anti-aging medicine. She routinely travels nationally training other doctors on her techniques.